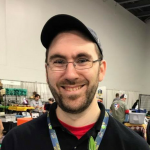 A look at each day’s most interesting and informative threads from the Board Game Geek general gaming forum, August 14-20. “Last Week at the ‘Geek” is usually published every Thursday. This is an abridged version; the full-length article can be found on my blog at Board Game Geek. The highlight of the past week was the grass-roots Twitter-based convention that first took root on BGG among those poor unfortunates who couldn’t make it to Gen-Con. We were commiserating on Twitter about watching all the posts about GenCon when Jason (NakedMeeple.com) and I came up with this UnConvention idea. Hence GenCant2014 was born. It’s kind of exploded throughout the day on Twitter and now it’s a real thing. We have a fun photo contest that’s easy to enter and people in the community have been coming out of the woodwork to donate some amazing prizes. A bunch of the Dice Tower Network crew are involved as well now. We have games, prototype copies, handmade items, just a ton of awesome stuff. So take a look. If you’re not on Twitter, it’s easy to join and may be worth it to watch the craziness. Whether you knew it or not, if you’re not at GenCon – you’re at GenCan’t! Now that’s how to throw an online party! For a recap of the best daily posts for the entire week, go to http://boardgamegeek.com/blogpost/33281/last-week-geek-safe-gaming-vassal-teaching-memory.